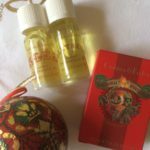 Many years ago I was gifted a Crabtree & Evelyn pack that contained their Noel fragrance oil. Every year on December 1 when I put up the Christmas tree, the oil goes in a burner and fills the house with the most delightful fragrance. Thankfully last year I stocked up and bought a new bottle as well as their other festive scent, because the oils are no longer available for sale according to their website. 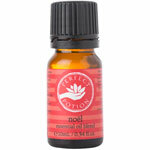 You can get Noel in candles, a diffuser and a room spray, thankfully. A couple of days ago, one of my besties and I had a rare working week day off and we headed to Chermisde to shop and have morning tea. We went into the Body Shop as my friend wanted to get some new skincare. Whilst she was trying lotions I was checking out their Christmas range which included 3 fragrance oils. There was plum, apple and cranberry options. Unfortunately I did not like any of them. They all smelt a little bit ‘fake’ to me. Walked out with a sad face! What I did discover was a new Perfect Potion pop up style shop. I love their products, as they are created with true essential oils and this aromatherapy addict simply loves the real stuff. They have a Noel blend too and it is awesome. A delicious blend of sweet orange, bay, pine, lime, clove and nutmeg…..winning! 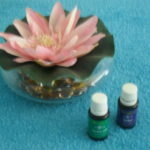 I always like to use my oils in a burner as they help the oils diffuse around the whole house. You can just pop a few drops on a cotton wool ball and place in a small bowl for a more subtle scent. If you struggle to get that festive feeling happening, fill your home with Christmas fragrance, it works a treat. Do you scent your home at Christmas time? 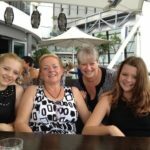 Aromatherapy – How To Fragrance Your Home Like A Deigner Gift Shop! Is Placing All Your Faith In Modern Medicine Bad For Your Health? Previous Successful Mirizzi Syndrome Gallbladder Surgery! Next Crafting For Cognitive Health! 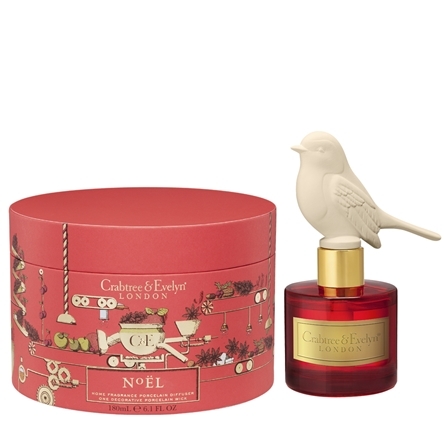 I’ve never used a festive fragrance at xmas but I think I will check the Noel scent out – sounds like the perfect way to get into the xmas spirit! 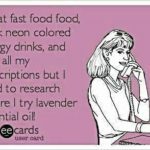 Love buying quality essential oil products, and theirs are really up there! I LOVE that fragrance as well and bought a two bottles of oil last year (phew!) Thanks for the heads up on the perfect potion oil. Off to stock up! So I am not the only one addicted to it, yay!